Since the 1920s the merchant world fleet has shifted from using coal to sailing on diesel engines and marine oil engines. The shift from coal to oil was largely driven by increased efficiency, ease of handling and cleaner operations. However, within the last decade, focus has shifted to sulphur oxides (SOx) and nitrogen oxides (NOx) emissions from vessels sailing on diesel and marine oil, and the International Maritime Organization (IMO) has adopted a set of regulations for the prevention of air pollution from vessels. The prevention guidelines, outlined in MARPOL Annex VI, not only limits SOx and NOx emissions, but also provide guidelines for the setup of Emission Control Areas (ECA). Ships operating in the ECAs have to use low sulphur fuel, or alternatively implement measures to reduce sulphur emissions, such as through the use of scrubbers. Besides the IMO, the Marine Environment Protection Committee has agreed on a structure, which would set progressively tighter NOx emission standards for new marine engines. Various alternate fuel measures are being looked into. Liquid Natural Gas (LNG) seems to be an attractive alternative given current attractive natural gas prices, as well as environmental benefits. LNG terminals have been set up in European ports, and a handful of and Asian ports. 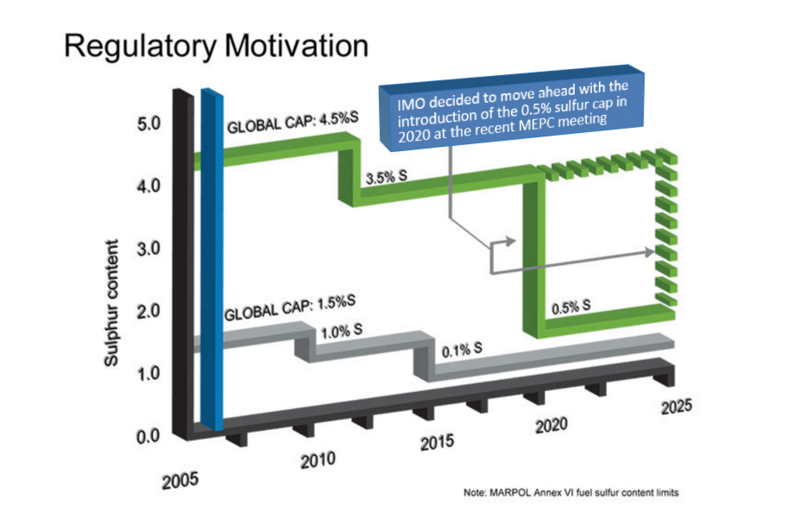 However, we don’t foresee LNG to cause a significant change in the new bunker fuel mix. Firstly, given the exorbitant costs to build liquefaction and re-gassification terminals and long payback period, and secondly, cryogenic temperatures required to export LNG to destination countries raises concerns over the safety in the transportation process. Lastly, hydraulic fracturing to extract gas from shale formations remains a controversial technology. Our technology centers on the use of LFL fuels in particular alcohols and ethers derived from coal. LFLs offers all the SOx and NOx emission reductions required to comply with the regulations. 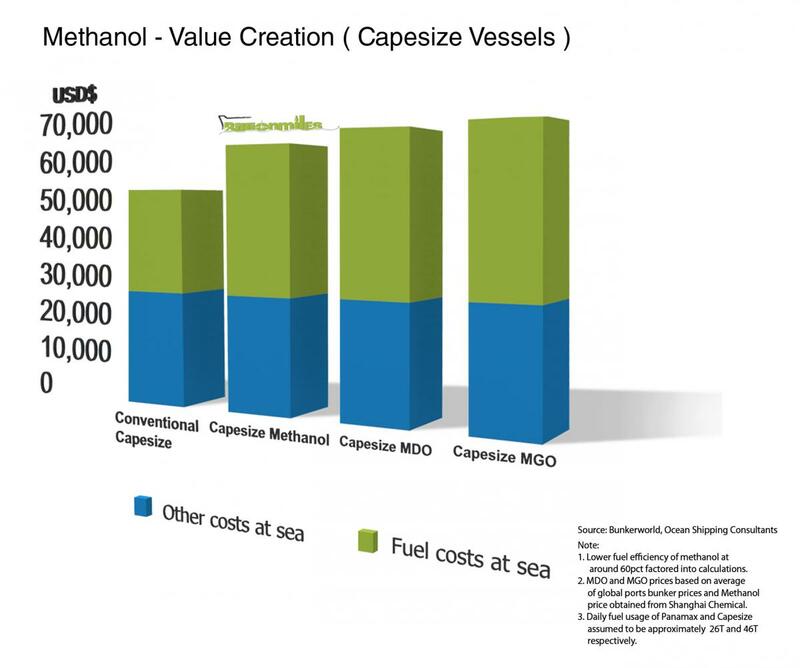 It is also a cheaper solution compared to LNG given it is a byproduct of the coal extraction process. More importantly, most of them are liquids at room temperature and require only minor safety measures added to existing bunkering infrastructure. 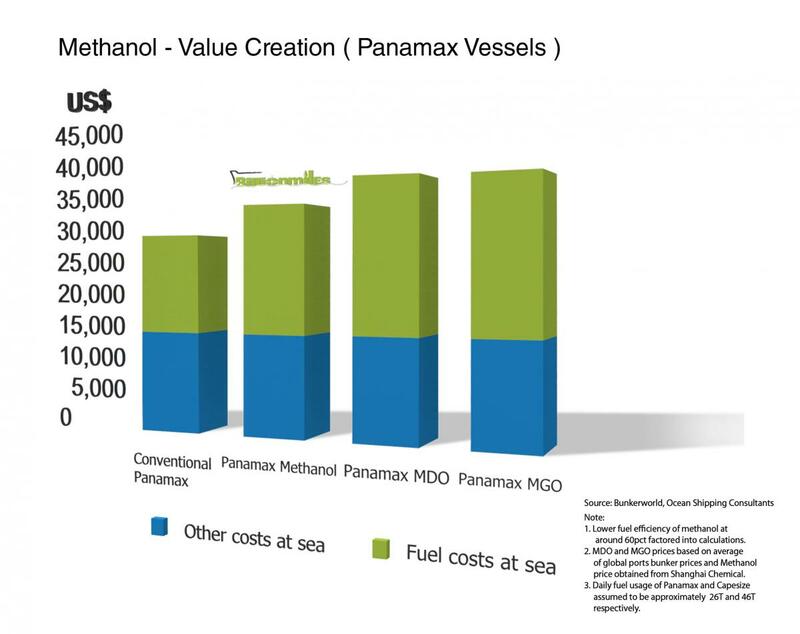 There is currently a growing interest in methanol & DME as ship fuels, especially in Scandinavia and the Asia Pacific region given its ECO features as well as cheaper pricing compared to Marine Diesel Oil and Marine Gas Oil. Classification companies have a central role in developing rules and guidelines, in addition to IMO. For instance, in the case of LNG-fuelled vessels, classification societies have come together to conduct R&D on ship to ship transfer of LNG and the associated safety measures. The contiguous effort by IMO, governments and classification bodies alike to develop safety knowhow and associated rules and regulations have spun interest in the private sector for example engine manufacturers, ship builders/designers, liner operators etc. Though gas leaks, risks of explosion and the extremely high initial capital expenditure have mitigated such efforts to a significant extent. In addition to class rules for LNG-fuelled ship, one of the classification bodies has recently begun to adapt the classification rules of LNG tankers/carriers to LFL-fuelled light crafts. While the classification rules are still in a nascent stage, we believe this to be an important first step to a revolutionary trend that will re-shape the bunker fuel mix. We encourage shippers who believe in the LFL potential to take part early in the inevitable trend and help to shape the future of class rules for LFL-fuelled vessels.